So, three kids and two kids at heart watched The Angry Birds Movie (2016) earlier and oh boy, we had fun. I'm sure you will have fun too. 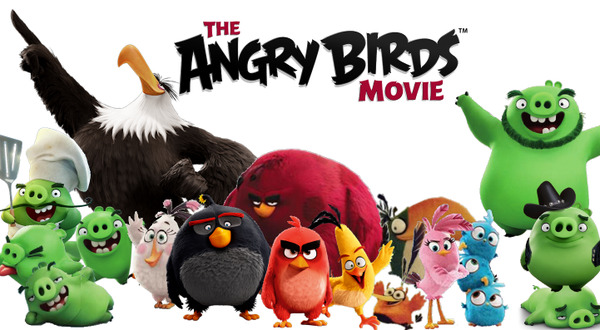 The movie provided a plot to explain why birds were angry at pigs. We all know (or at least those who played the game) that it's because the latter steals the former's eggs for a meal. Even everyone who have not played the app at all can still follow the story line and will not need any background read. The introduction of a bird island versus pig island, albeit predictable, is cute too. The same applies for the personification of various usual bird characters we only recognize due to their colors - red, yellow, bomb, and more; along with the pigs. I don't know where the Mighty Eagle hero character came from though, unless I missed it in one app version or so. The gigantic sling and how the pig's wooden tower were destroyed through birds fed like stones is also fun to watch for a battle stone. There's nothing violent in this animated film too so you won't worry about little kids watching. And here's the Facebook page to follow updates about the movie in theaters near you.